Wrinkles and fine lines on the face are one of the most visible signs of ageing. They’re caused by the breakdown of collagen and elastin in the skin – as we age, our bodies can’t produce enough collagen to replenish what has been lost, so the skin begins to lose its strength and elasticity over time. Other factors can play into lines and wrinkles too. Smoking, for example, can speed up the skin’s ageing process, and sun exposure can put you on a fast track to increased wrinkles all over the face. Collagen is a Greek word which means ‘glue-producing’. Though the collagen in our bodies isn’t exactly sticky, it does help tissues like the skin and tendons to hold together by forming a vast network of fibres. Collagen fibres strengthen the skin, while elastin helps the skin stretch and still return to its original shape. Exposure to UV rays can weaken collagen fibers further, with research showing that most wrinkles are caused or exacerbated by sun damage. Use a broad-spectrum sunscreen with a sun protection factor of at least 15 to shield your skin from UVA and UVB rays. Vitamin E can help protect the skin against UVB damage, while retinol, a form of vitamin A, can reduce the visual effects of decreased collagen production. Minerals like copper and zinc can also improve the appearance of skin affected by decreases in elastin production, particularly around the eyes. Soy is also a very powerful antioxidant which can counteract collagen loss in the body. 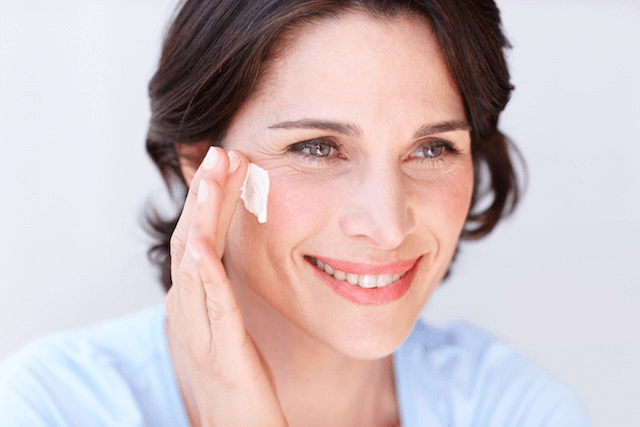 Although fine lines and wrinkles are a totally natural part of the skin’s ageing process, you can determine how quickly or slowly they progress. By taking the right steps now, you can help your skin to remain healthy-looking and maintain a glowing, youthful appearance for longer.